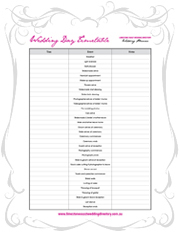 To assist making your wedding day perfect, we have created a Wedding Planner to help you with planning your special day. 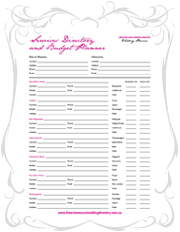 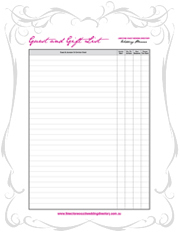 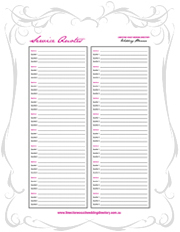 Below you can download a Wedding Checklist, Year Planner, Day Planner, Wedding Day Timetable, Wedding Party contact details, Guest and Gift List, Reception Guest Seating, Service Quotes, Service Directory and Budget Planner. 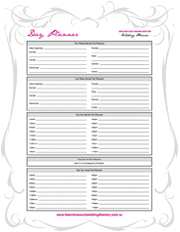 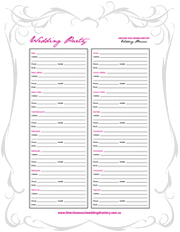 We encourage you to use these planners to make your wedding planning as easy as possible.